Since today is a rainy day- and I need to get to work in a couple of hours, I’ll get started on my much needed catching up. My wife and I needed to make a decision on how we would cool and heat our cabin during the summers and winters to come. We purchased an 8000 BTU window unit from a local Big Box store in the beginning of the summer months to make some effort to keep us cool. We knew that we wanted to eventually purchase a Mini Split unit to provide both cooling and heating when we needed it. The window unit surpassed our expectations for keeping us cool and comfortable, but we knew we needed more. Due to the affordability and ease of installation, we decided that a Mini Split unit was our best option for our size cabin. We chose an AUX 12,000 BTU unit which both heats and cools. At less than 500 Square feet of cabin space, some would say a 12,000 BTU was overkill. The particular unit that we chose is rated to heat and cool up to 600 Square Feet without any problems. 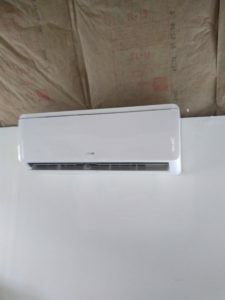 This particular unit came with the installation kit which included both line sets, wiring, remote control, and the outdoor compressor and indoor air handler and wall mounting bracket for the indoor air handler. Many of these units also arrive pre-charged with R410a Refrigerant. 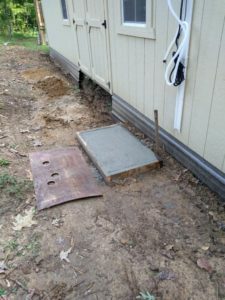 After deciding where we would install the unit in our cabin the next step was to pour a concrete pad for the outdoor compressor. Sure, we could have easily purchased a premade concrete pad, however, they can get a little pricey. It was more fun just to level some ground and pour my own, not to mention- Cheaper! I used a couple of 80 Pound bags of Quikrete from our local hardware store. 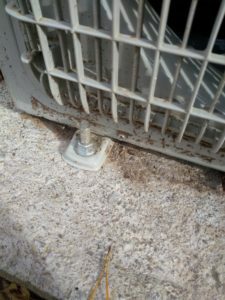 I also installed four (4) 2 inch concrete anchors to hold the compressor in place…. After letting the concrete cure for a few days and removing the forms, I was ready to install the compressor outside. You can see below the compressor in place and bolted to the pad with the concrete anchors. First, select a location on your interior wall closest to the outdoor Condenser unit mounted outside. Many Mini Split units come with the complete installation kit which includes the indoor air handler wall mounting bracket, two (2) 7 foot line sets, condensation drain line, and power cable and unit cable. You will want your cables and line sets to be able to reach the Condenser outside. For clarification, your line sets are the copper tubing that supply the refrigerants between your air handler and the outdoor compressor. Second, Mount the air handler wall bracket provided with your unit in the location you chose. An Owners Manual and Instructions will come with your unit when you receive it. Follow the instructions for installing the bracket. You will only need a pencil, tape measure, and a level to make sure the bracket is level. On many mini split units your wall mounting bracket is attached by a single screw located on the back of the air handler. Remove the screw and bracket. 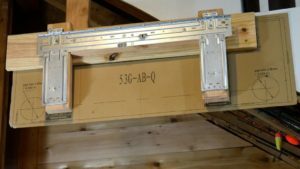 You can build out with 2 x 4 ‘s as in the image above or simply mount the bracket to the wall using your existing wall studs. In the photo you will notice the template that comes with some units. Notice the circles on each bottom corner. 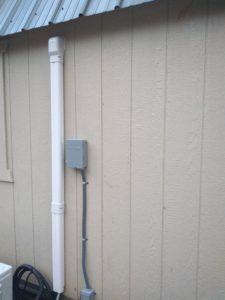 Depending on where your drain lines, line sets, and wires are located on your air handler, this is where you will drill your hole to run the line sets, drain line and cables outside to the condenser. Check the back of the air handler to find where your lines are located on the unit. Use a 1 1/2″ hole saw to drill the hole for all of the above. Once you have the hole drilled from inside to outside, you are now ready to mount your air handler to the wall. Before mounting it on the bracket, pay careful attention to the back of the air handler. On the back top you will find the tabs that your mounting bracket will slide into. Before mounting the air handler, also locate the wires, plastic drain line, and the two copper tubes folded into the air handler for shipping. Being careful not to crimp the copper tubes, ease each one out until they are straight. You can use both hands to straighten them. Dont try and force them as you may either crimp them or break them. You may also notice on the ends of the copper lines are caps. DO NOT Remove these at this point…The air handler comes pressurized at the factory and will be released once the line sets are ready to be connected. After carefully straightening the copper tubes, place those along with the wires and the condensation drain line through the hole in the wall. You can use electrical or duct tape to keep them together to get them through the hole to the outside. This may take two people to complete. Before placing the air handler in place, angle the unit to allow the condensation to drain while in air conditioning mode. You may need to angle to bracket for this or install wedges when mounting the wall bracket. Many installers, using a level, will sometimes angle a 1/3 bubble depending on your needed drainage. Failure to adjust for condensation draining can cause water damage on your walls. Follow the instructions for your drain line. Once your lines are through to the outside, you can mount the air handler to the interior wall bracket. You will only need to lift it up slightly, tilt back just a little to make sure the slots in the air handler slide down on the metal tabs on the wall bracket. You can push it towards the wall at the bottom until you hear a click. 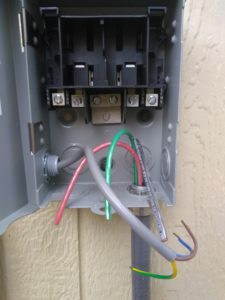 I decided to connect the Mini Split to a 30 Amp Double Pole breaker at the Main Panel Outside. Our Unit is a 240 volt unit which would require at least a 30 amp breaker. I purchased #10 gauge UF wire, which is commonly referred to as 10/2 UF-B with Ground. I also purchased 1 1/2″ Schedule 80 Electrical Conduit to run from the junction box at the unit to the main panel. 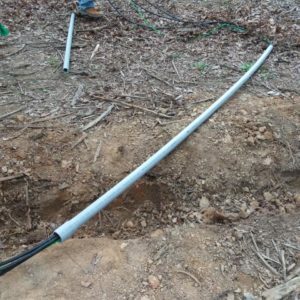 Even though UF-B Cable is a direct bury cable, I chose the “for safety sake” route and installed the cable inside the conduit. The above photo is the junction box i used to supply power to the unit. The conduit at the bottom of the box is from the main panel outside. I needed to run about 50 feet of UF-B wire and the Schedule 80 conduit between those two points. 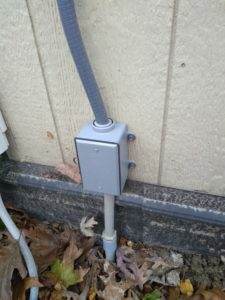 I then ran Liquid Tight Flexible Conduit from the Junction box to the Service Disconnect Pictured above. 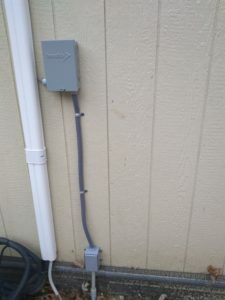 As you can see in the above photo, the wiring from the junction box is connecting to this 30 Amp fused Service Disconnect Box. The cable entering the box on the left side is the Power Cable from the Air Handler unit inside the cabin. It has a Yellow/Green wire, Brown wire, and a Blue wire. That is one of the two wires mentioned previously when installing the air handler and feeding through the hole in the wall to the outside. In the above photo you can now see the Service Disconnect has been wired. 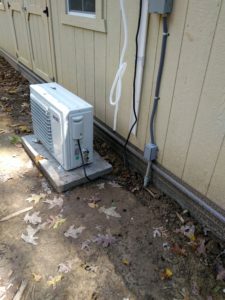 Service Disconnects are normally required by Electrical Code for Heat and Air Conditioning systems. The wires from the main panel outside ( red and black) are connected to the Line terminals in the Disconnect box. Line is commonly known as the power source. The Green wire is connected to the Ground Buss in the middle. At the Main Panel the Red and Black wires are connected to each pole in the Double Pole Breaker at the main panel. That’s the reason Double Pole breakers have two switches on the breaker. Each pole is 120 Volts which gives it 240 Volts to your appliance. Green is always your Ground in electrical current applications. The Grey cable coming from the indoor unit (on the left) supplies power to your Mini Split unit. 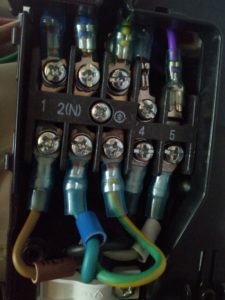 The Brown and Blue wires are connected to your LOAD terminals that are marked as well for easy identification. Your LOAD is the power being supplied to the appliance. In the event one of the fuses are blown or the breaker is tripped, it will shut off the power to your appliance. The Service Disconnect is also a means to shut off power to the unit in the event it needs to be serviced without shutting off the main power. We do sell the 30 AMP Mini Split Disconnect Kits for $49.99 plus shipping. Each kit includes Disconnect Box, 2- 30 amp fuses, one 4 foot Liquid Tight Whip with wiring and connectors, and one 6 foot Liquid Tight Whip with wiring and connectors. If you need one please feel free to contact us to order. The second Black cable you fed through the wall to the outside ( as you can see pictured) is permanently wired to the wall mounted air handler inside. You will need to connect it to the unit pictured. As you can see in the following photo each wire is number coded for easy connection. This Black cable is actually your control cable which tells each unit in your system what to do. With this particular model of Mini Split, the indoor unit provides power and instructions to the outside compressor unit. Each of the wires above have a sleeve attached with the corresponding number embossed. Simply connect them to the corresponding number behind the cover located on the outdoor unit. The wires at the top are connected when your unit arrives. Its that simple! NOTE: Keep in mind that not all units on the market are the same in wiring. This particular unit we installed may not be the same as other units, so follow your units instruction manual. 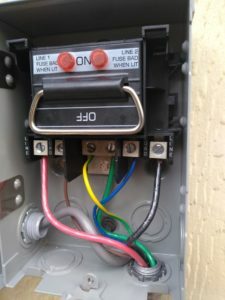 If you wire it incorrectly, you can cause severe damage to your unit. If unsure, consult with a licensed and reputable electrician. Two (7) foot copper line sets are used with your unit. Purchasing a Mini Split unit with the installation kit provided will include the line sets. They will arrive with foam insulation covering the outside of the tubing and the proper flair fittings. While the installation of the Line Sets are simple, we chose to have a licensed HVAC Technician install them. Most units, as mentioned previously, come precharged with R410a Refrigerant. Once the lines are connected between the indoor unit and the compressor, the lines need to be evacuated with a pump made for this purpose. These particular pumps, with the gauges and the proper adapters can be quite costly. We actually couldn’t justify spending money for a vacuum pump that we would use only once. A good pump is around $300 or more. 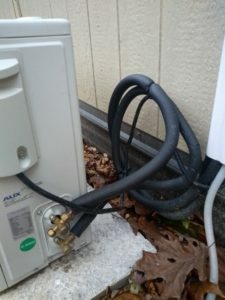 As you can see in the photo above the HVAC Technician curled the copper tubing before connecting them to the Compressor ( as shown). By doing that it saved him from having to cut the copper tubing and not having to flair the ends of the tubing again. The fittings are then connected to the unit. Each copper tube will be a different size and will connect to the corresponding size on the unit. One line is for refrigerant and the small line for heat. The Tech also connected the line sets to the line set tubing attached to the indoor unit and fed through the wall to the outside. As Mentioned previously, this unit is pressurized at the factory. Once he was ready to connect the line sets, he removed the caps from the ends and you will hear air bleeding from the indoor unit. This simply means that the unit will hold pressure and is nothing to be concerned over. He then connected the outdoor line sets together with the supplied flair fittings. The vacuum pump is connected to one of the fittings on the end of the Compressor to remove any moisture in the lines and also to remove any air or contaminates. The process can take a few short minutes or can take longer if refrigerant needs to be added. Once the system is “evacuated” or “drawn down” as they say and the proper microns or pressure is achieved, a valve in the end of the connections is opened to release the refrigerant into the system. Not doing this properly can also cause damage to your unit or cause you to lose the refrigerant. Hiring a Licensed HVAC Technician gave us the peace of mind that it was done correctly and our system would work properly. Once we had it installed, connected, and the HVAC Tech connected the lines, we were ready for the test. Our unit came with a Remote Control to set the temperature and operate the system. We can say the unit has worked flawlessly and we are happy with the results. Installing Mini Split units are very easy and anyone can do it if you follow the instructions. 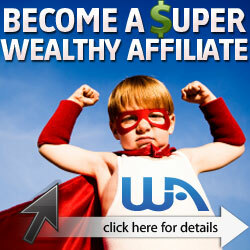 It can save you alot of money doing it yourself. We also chose to purchase a Line Set Cover which you see pictured below. They do a great job of covering the lines and wiring and make it appealing to look at.